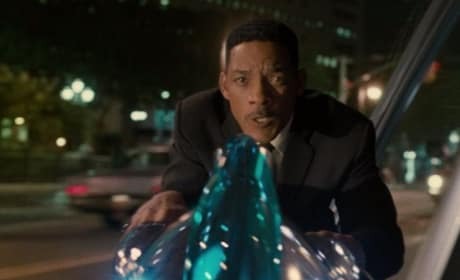 Will Smith in a behind-the-scenes video from Men in Black 3. The film is now open. 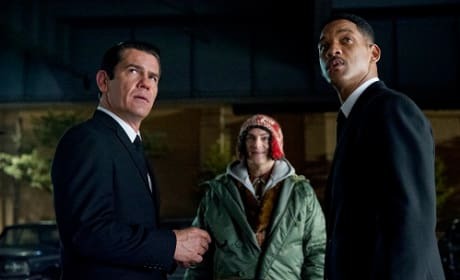 Men in Black 3 stars Josh Brolin and Will Smith take it in. 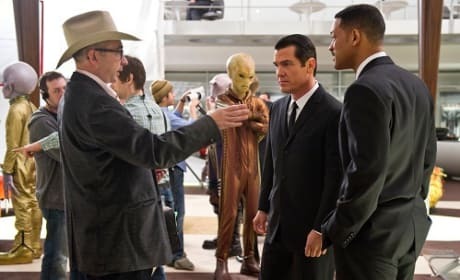 Barry Sonnenfeld's Men in Black world is back. 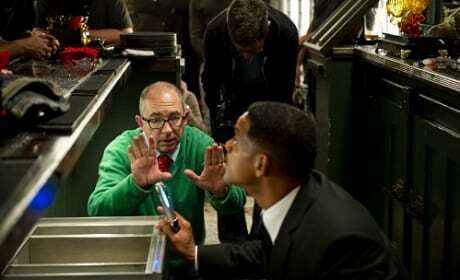 Barry Sonnenfeld Directs Will Smith on Men in Black 3. The film is the fourth time he has worked with the Fresh Prince. 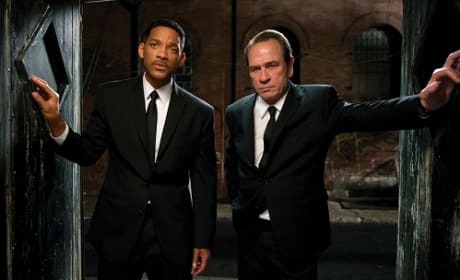 The stars of Men in Black 3: Tommy Lee Jones and Will Smith. 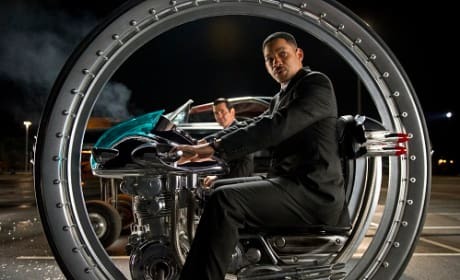 The duo are back for a third time in the Men in Black franchise. 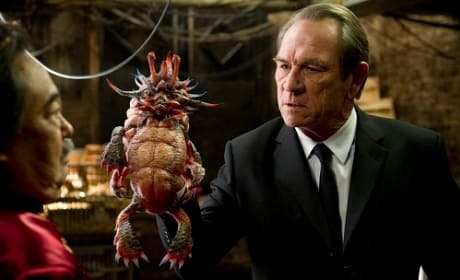 Tommy Lee Jones stars in Men in Black 3. The actor talks about making the third Men in Black movie. 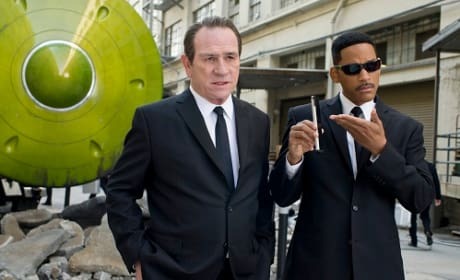 Tommy Lee Jones and Will Smith Star in Men in Black 3. 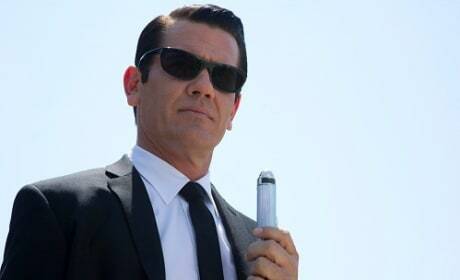 The film also features Josh Brolin. 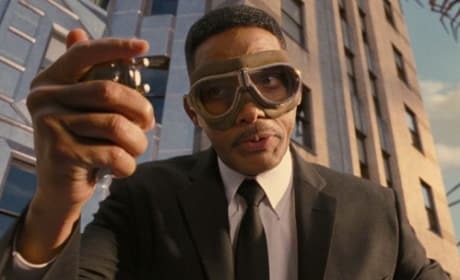 Will Smith stars in Men in Black 3 with Josh Brolin. The film opens May 25. 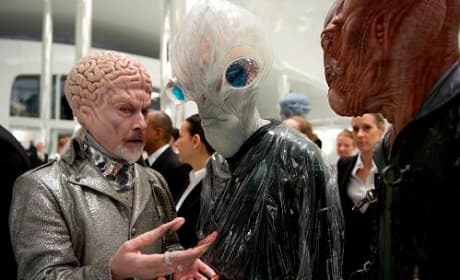 Rick Baker makes an appearance in Men in Black 3. The film arrives May 25. 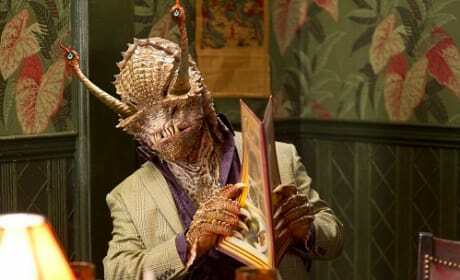 One of Rick Baker's aliens from Men in Black 3. The superstar makeup guru is back.